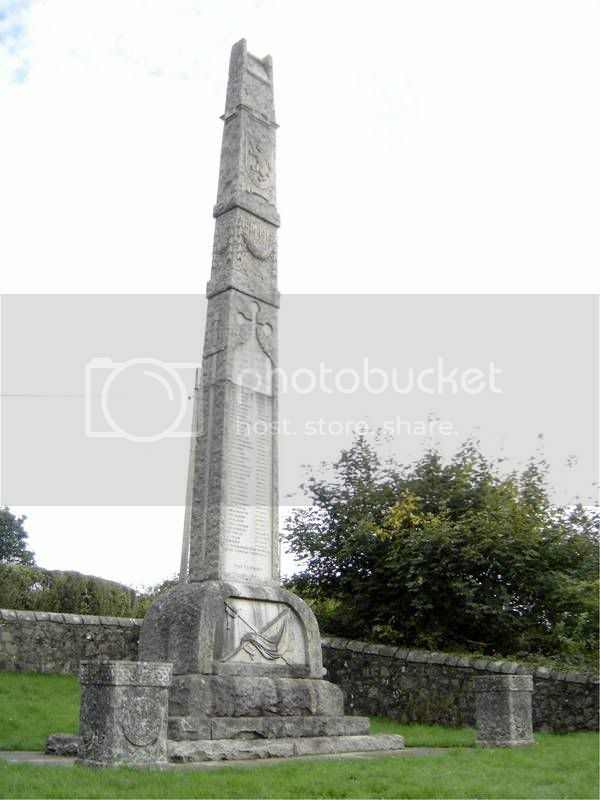 The Tobermory war memorial is a rustic grey granite tower on a low tapering pedestal and plinth. 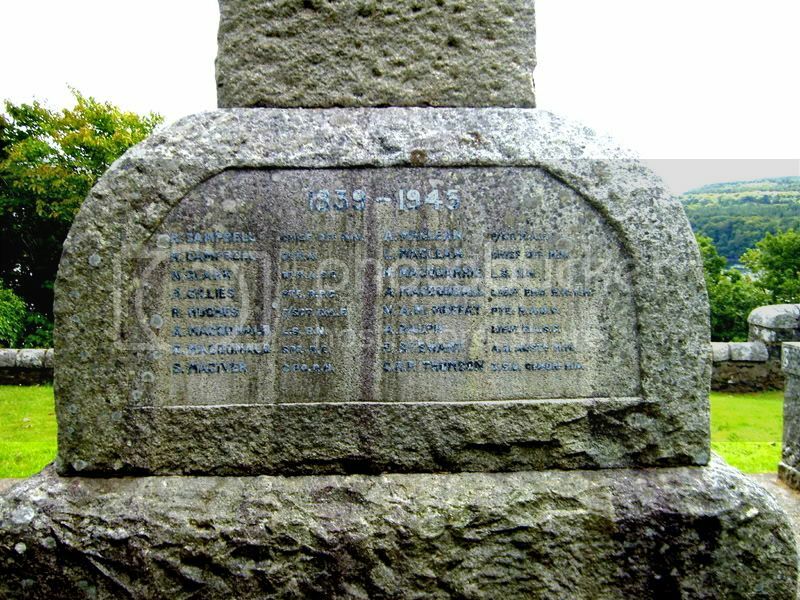 The commemoration and names of the dead are listed in black letters on dressed panels on the face of the shaft and pedestal. 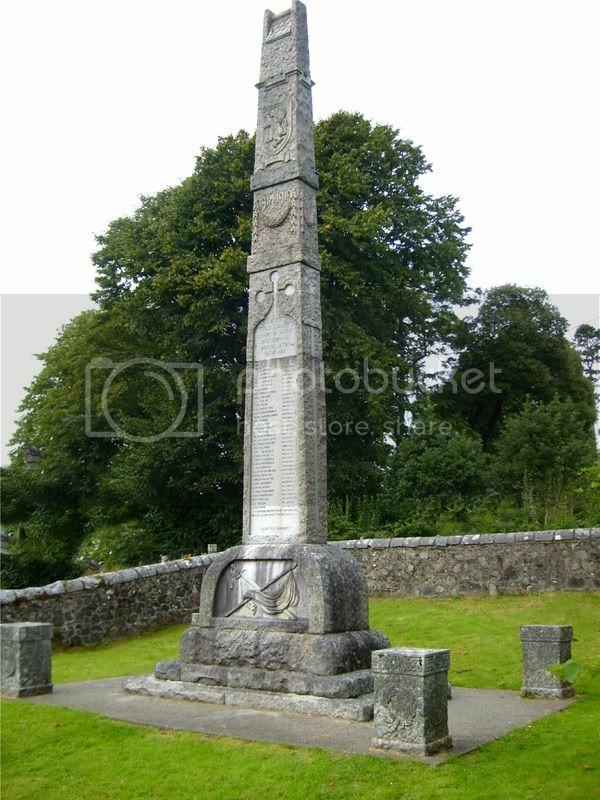 The tower has a saddle type roof and has a shield with lion rampant and draped wreath carved in relief on the upper face of the shaft, and a crossed sword and colours carved in relief on the face of the pedestal. Four low pillars are set at the corners of the monument. 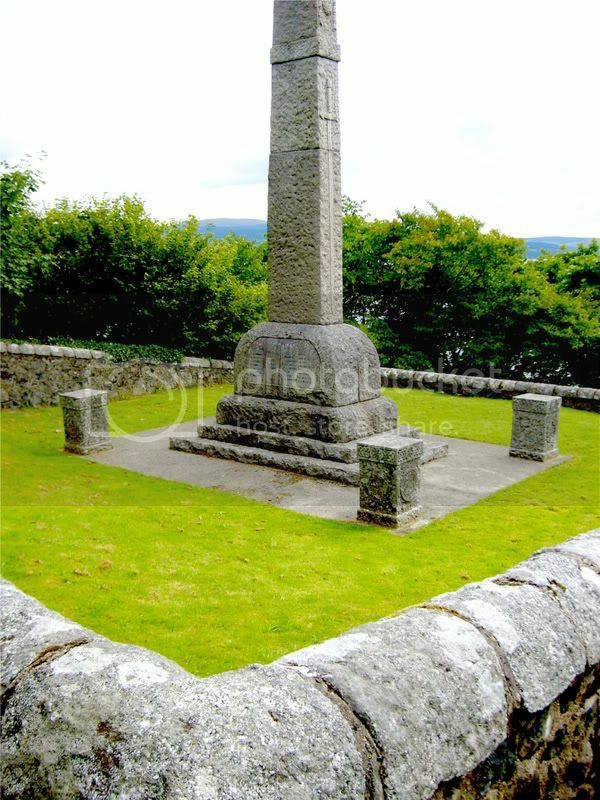 The monument stands on the hill behind the Western Isles Hotel, overlooking Tobermory Bay and is enclosed by a wall. 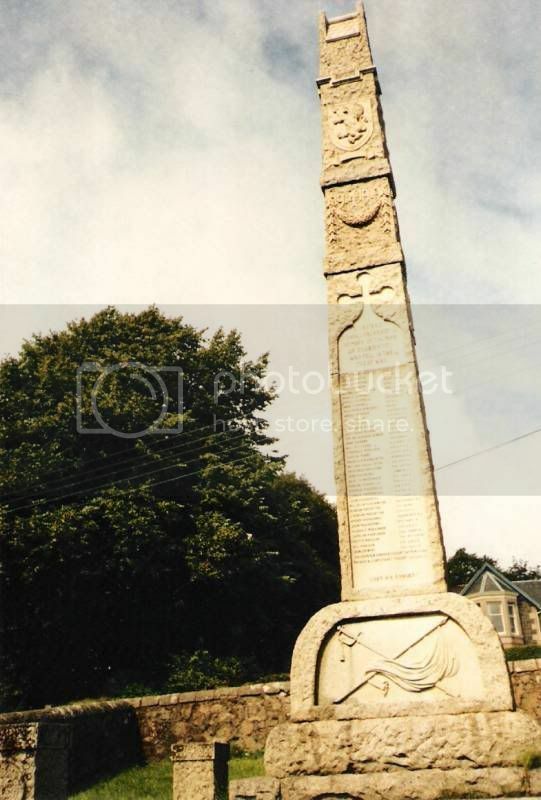 As has been mentioned on other posts there were many Scottish ports and coastal communities which erected war memorials in the form of very tall pillars or obelisks on hills and promonteries above the harbour. These fulfilled the additional function of providing a useful, accurate point of bearing for boats returning home. He is also listed on the West Lothian Constabulary War Memorial in Linlithgow. Posted: Sun Mar 15, 2015 8:42 pm Post subject: WW1 - Pte. Peter MacLean, Highland Light Infantry. 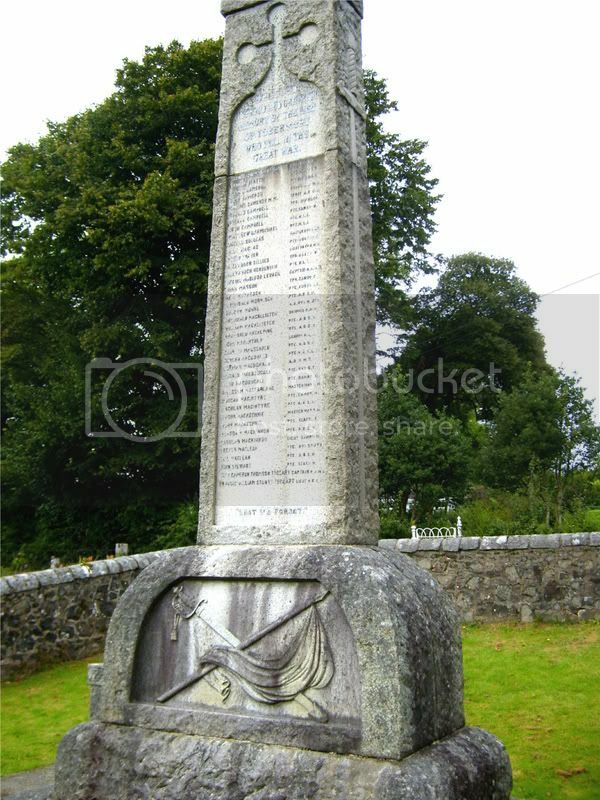 Not listed at Tobermory War Memorial. Peter MacLean is recorded on the WW1 plaque within Kilmore Parish Church, Dervaig, Tobermory, Mull. The Glasgow Herald, Saturday, 9th June, 1917. MACLEAN.- Drowned on 4th May, through the sinking of H.M.T. Transylvania, Private Peter MacLean, aged 19, youngest son of the late John MacLean, merchant, Dervaig, Mull; deeply regretted." Other detail	7th Bn. (T.). SDGW - Born/lived Dervaig; enlisted Glasgow. Army register of soldier's backpay and War Gratuity records sisters Catherine and Katie; brothers Hector and Donald. Peter McLean, 1/7th.Bn. H.L.I., Pte. 39050. 1901 Census Argylls., Kilninian & Kilmore, Dervaig, recorded (transcription):- Peter MacLean (3), son, born K&K; John MacLean (50), General Merchant, born K&K; Ellen MacLean (36), Housekeeper, Wife, born K&K; siblings.